Hello! 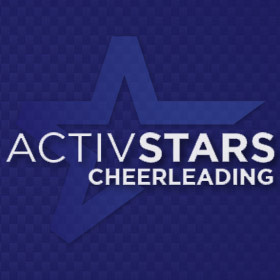 My name is Amber Gray and I have been a coach for Activstars since 2012. I started cheerleading myself at 8 years old and continuing through 8th grade. In high school I switched to drill team which was so much fun! I’m glad that I got the experience of cheer and dance because I love both! However, after you get older, move on from cheer and start your own family what is the next best thing to come? To sign your own daughter up for cheer and become a coach of course! And that’s exactly what I did! She has been with me every step of the way and even made high school varsity cheer! I love cheer, coaching and seeing my students in class every week! There are no words to describe the experience of having a scared, shy 4-year old come into your class with tears in her eyes because she doesn’t want to do it, transform into an outgoing, energetic, fully confident cheerleader by the end of the semester! Then, to see them continue to the higher levels is so gratifying! They learn so much beyond the fundamentals of cheer that benefit them in everyday life. I’m happy to be a part of that!